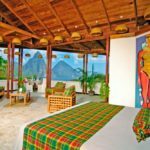 Escape to Scenic St Lucia with 35% off at renowned Anse Chastanet Resort. Recently voted the #3 resort in St Lucia and #6 in the Caribbean expect the best in Tranquility, Romance and Adventure. 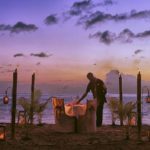 Anse Chastanet Resort was crafted by owner architect Nick Troubetzkoy to be a feast for all the senses and one with nature. The foliage and the flowers, the perfumes and the peaks, the sea and the bird song all form an integral part of the vacation experience. 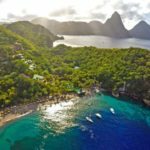 The resort is set on 600 lush acres on St Lucia’s south west coast. 49 uniquely, crafted rooms are scattered along beachside up to the hillside levels with no two rooms being the same. 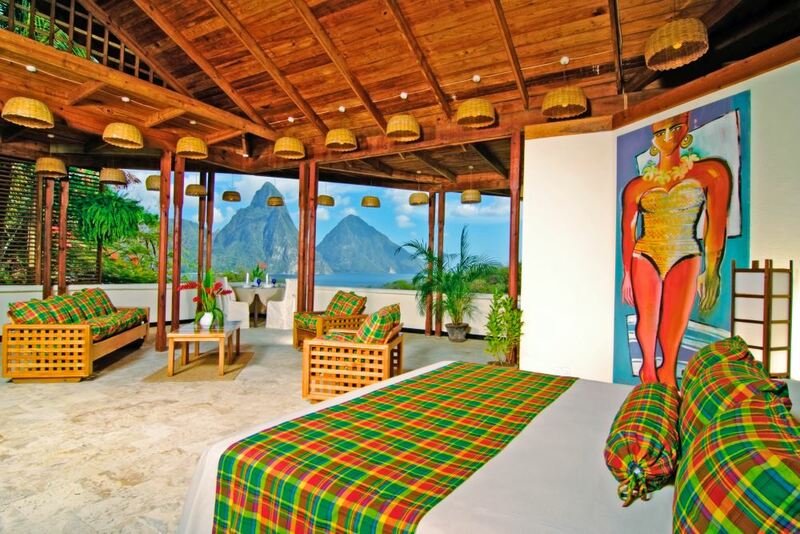 Some rooms boast the most coveted view in St Lucia, the iconic twin peaks of the World Heritage Piton mountains. 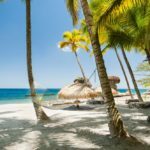 Rooms blend seamlessly into their surroundings and are devoid of many of the technological distractions of today such as TV’s creating a techno-free and eco-friendly Caribbean vacation experience. organic farm and chocolate laboratory. A variety of culinary experiences await all of which feature elements of the farm-to-table experience from the resort’s own Emerald farm; from East-Indian Caribbean fare to a vegetarian menu to a locally sourced seafood menu. 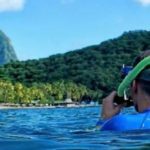 Anse Chastanet is also located near St Lucia’s most acclaimed natural wonders.